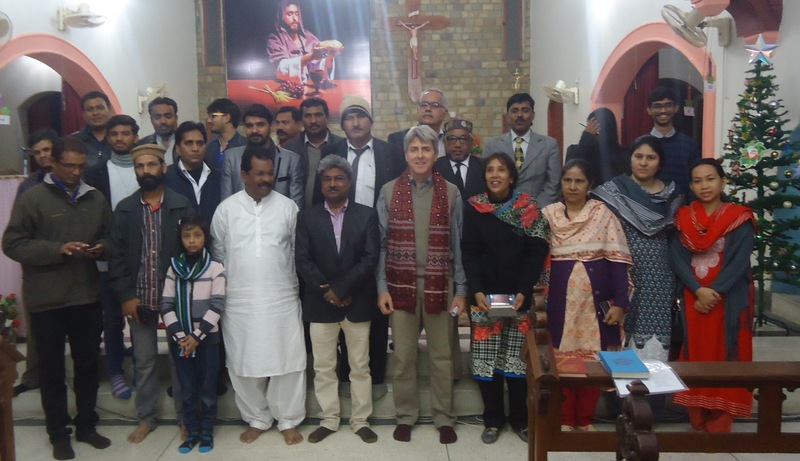 On Saturday 16 December 2017 there was an interfaith Christmas celebration in St Francis Xavier Cathedral Parish Hall, Hyderabad. 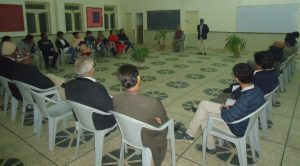 Present were 25 people from different parts of Hyderabad, members of the Muslim, Hindu, Baha’i and Christian communities, hosted by the inter-religious dialogue commission of Hyderabad diocese as a means of building greater interfaith harmony in society. In welcoming the guests, Fr Liam O’Callaghan highlighted the fact that Christmas is a source of happiness and celebration for Christians but that its message of peace, hope and good news is for all people. And that this message of peace can be best shared through interfaith cooperation on issues of common concern – already some of this is taking place in areas such as care for the environment and minority issues. Then MC, Danish Yakoob, called on Sr Nusrat Khurshid FMM to share on the meaning and importance of Christmas. She focused on the commonality among us all of celebrating ‘Eid or our respective significant holy feasts and how important that is in the life of the community. She highlighted the message of peace and how Christmas calls on all of us to be messengers of that peace in our world today. 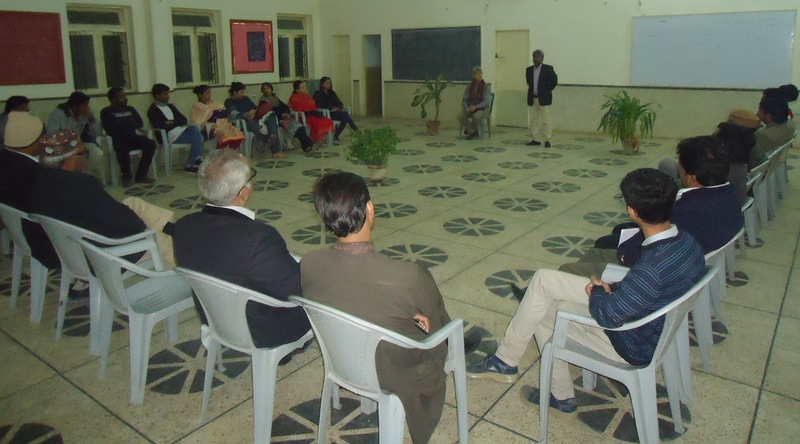 This was followed by spontaneous sharing from the floor from a number of the participants of the importance of working together and examples of how it already happening in different situations. Then we all went into the Cathedral church, which was beautifully decorated in pink for the third Sunday of Advent, with Advent wreath, Christmas tree and other decorations. 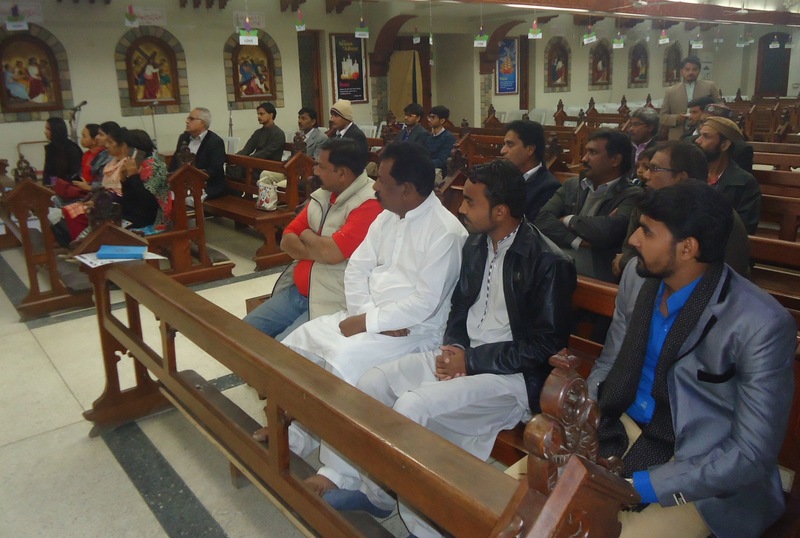 One of the catechists of the Cathedral parish, Master Shaukat, explained a little about the diocese and how the Cathedral is the ‘mother Church’ of the diocese; also about the liturgy and the meaning of the symbols e.g. altar, bible stand, statue of Mary etc. It was a touching experience for many of the people of different faiths present who had not been in a church before. 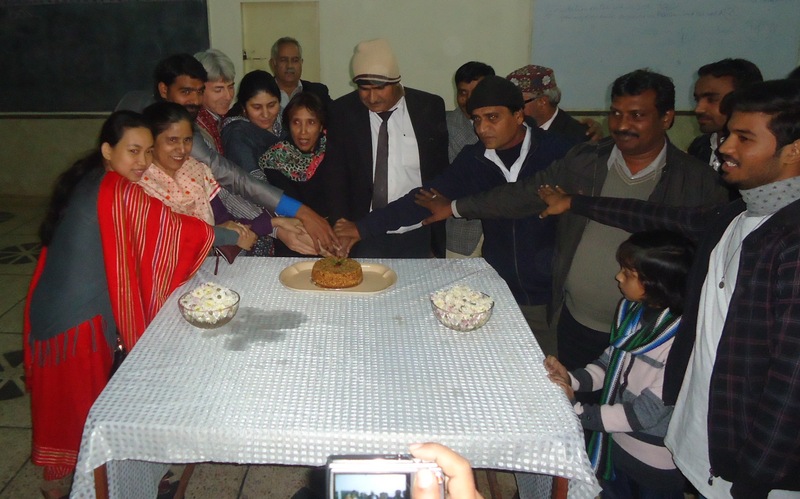 Finally, we all moved back to the hall for the cake cutting ceremony and enjoyed a cup of tea together. 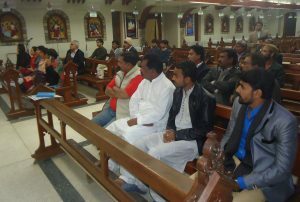 On the following day, Sunday, there was a suicide bomb attack on the Bethel Memorial Methodist Church in Quetta, about 10 hours west of Hyderabad in Baluchistan province, in which nine people died and many were injured. Such extremism spreads a message of hate, sectarianism and fear, bringing untold suffering. The message and experience of the interfaith celebration in Hyderabad the previous evening – interfaith harmony, respect, working together to build peace and justice and working for the common good – is needed more than ever in Pakistan and around the world.